My first priority is my family with four girls we keep busy. Weekly on my site , I host a “Mommy and Me Monday” link up encouraging moms to get in pictures with their kids. I consider myself semi-crunchy as I cloth diaper, extended breastfed and extended rear face my kids in the car. And, I’m making an effort to be even better. I love learning new things and researching everything. Our family enjoys traveling even with the little ones. We hit both coasts in one year and look forward to our adventures this year. My education is in chemistry (both a BS and MS) but I now work from home doing graphic design and writing. What do your kids/family think of the oils? My kids love me putting them in a roller ball and putting it on their feet/bellies. They also ask for them in their diffusers every night. What was the first thing you tried/diffused straight out of the box? If you could take one oil with you if stranded on a desert island what would it be and why? To continue living debt free and experience all of the fun around us. 2. Be sure the “Wholesale Member” option is checked so that you don’t end up paying retail prices. 4. If you do not feel comfortable putting in your social security number (this is only for tax purposes if you decide to turn this into a business) then you can get an EIN from the IRS in just a few seconds here and use that number instead (the IRS just needs to be able to connect some number with you for tax purposes). They need a Social Security Number or an EIN because if you make $600 or more per year selling Young Living products, you will receive a 1099 form in the mail (which is required by law). Young Living will never share this info with anyone. 5. Select which starter kit you want to get. My recommendation would be the Premium Starter Kit (and that’s the one where you get all of the extras!) Those are the oils that I use almost every single day! You can get the kit that’s $150, or you can get a kit for $160 with an even nicer essential oil diffuser! 6. I’d recommend skipping the Step 3 (Optional) part of the sign-up process. I’ll send over an email with more details on that part of things after you sign up (if you’re going to be purchasing products monthly then it’s a great program that will give you credit back with each order and save you on shipping costs). 7. Go through the checkout process. 8. After you sign up, send an email to krystyn@reallyareyouserious.com with your member number and order number, letting us know that you signed up through this promotion. Somewhere in the email, be sure to put the promotion code: SERIOUS. IMPORTANT: This promotion is only available when you sign up with the sponsor ID and enroller ID as #2645477! Also, if you recommend this promotion to a friend (or group of friends) and they sign up too through this promotion then please let me know so that you can get credit for referring them. *Disclaimer: These statements have not been evaluated by the Food and Drug Administration. This information is not intended to diagnose, treat, cure or prevent any disease. The information on this site is not intended or implied to be a substitute for professional medical advice, diagnosis or treatment. Please confirm any information obtained from or through this web site with other sources, and review all information regarding any medical condition or treatment with your physician. Never disregard professional medical advice or delay seeking medical treatment because of something you have read on this website. 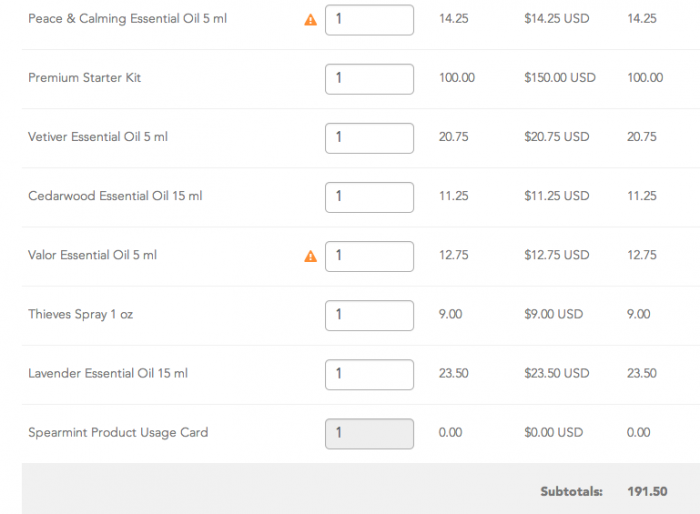 Does signing up to purchase Wholesale obligate me to sell Young Living? Am I required to make a minimum purchase each month? 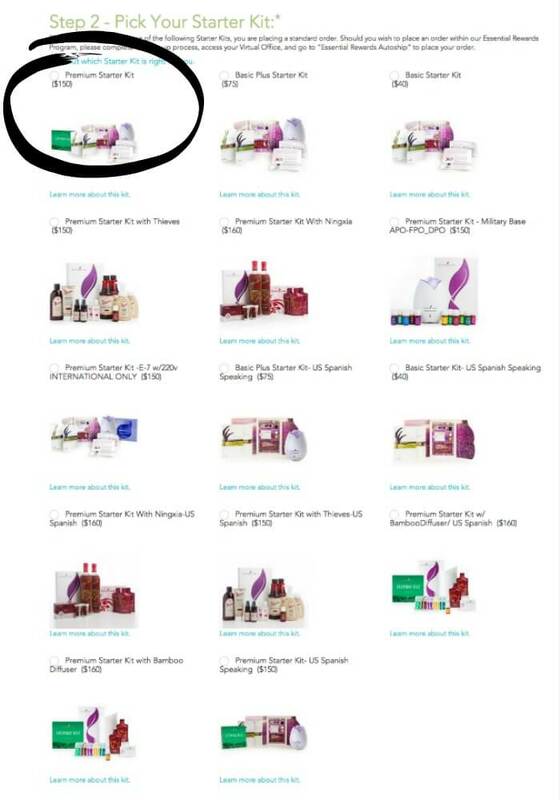 Why should I buy from Young Living instead of other essential oils companies? How will I know which oils to use for what? Does Young Living only sell essential oils?